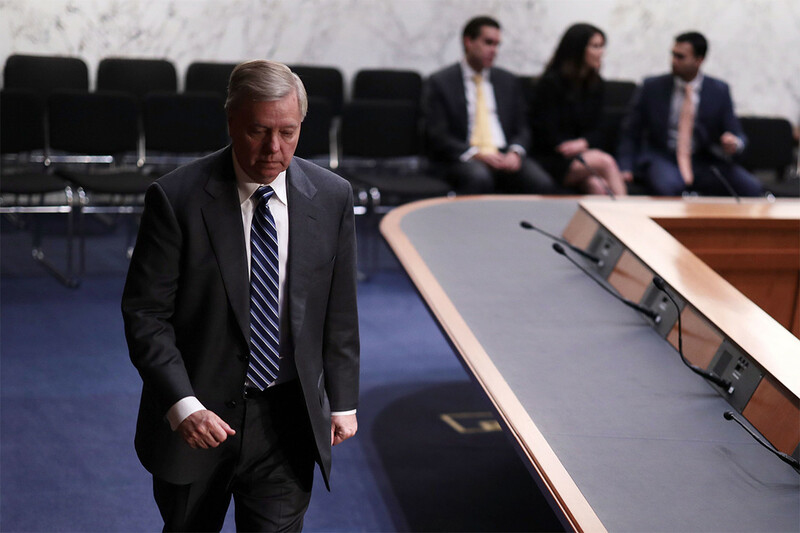 Sen. Lindsey Graham (R-S.C.) on Saturday expressed support for President Donald Trump’s decision to declare a national emergency, and said Trump’s own admission that he “didn’t need to” invoke his emergency powers did not weaken the White House’s claim that there is a crisis at the southern border. Congressional Democrats have seized upon those remarks as evidence that current rates of illegal immigration from Mexico into the U.S. do not constitute a national emergency. The liberal advocacy group Public Citizen on Friday filed the first of what is likely to be many lawsuits challenging the White House’s maneuver, arguing that Trump used the declaration to circumvent lawmakers in violation of the separation of powers outlined in the Constitution. But Graham on Saturday said the president’s actions were legal and justified. “I think the president has the authority to deploy troops to the border. Obama did. Bush did. Trump has,” he said. “And I think he has the authority while they’re there to build barriers, and we’ll see. I support his desire to get it done sooner rather than later. The Democratic-controlled House is expected within weeks to pass a resolution formally disapproving of the president’s national emergency declaration. The measure will then head to the Senate, where several of the chamber’s 53 Republicans have already expressed unease with the precedent Trump’s decision sets for future administrations.